The Environmental Agency and the Department for Business, Innovation and Skills will have representatives at the event in Coventry. 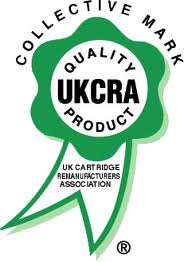 The meeting of the United Kingdom Cartridge Remanufacturers’ Association (UCKRA), taking place on 30 April at the Novotel Coventry, will see the launch of the association’s Industry Impact Assessment, which looks at the impact of the European Recast WEEE Directive on the UK cartridge remanufacturing industry. The report follows the government’s recent proposal that cartridges will come within scope of the UK WEEE Regulations from 1 January next year; potentially affecting third party remanufacturers, OEMs and clone manufacturers. The Impact Assessment has been written by Dr. Michael Gell, an expert in competitive strategy, ecodesign and environmental assessments, and is said to provide a unique perspective on how the remanufacturing industry may evolve under the new regulations and what UK remanufacturers need to do in order to become compliant. Members will receive a complimentary copy of the report at the start of the launch. Non-members can register to attend the report launch as a non-member for a fee of £695 ($1,023/€958), and receive it there, or by post after it has been published. 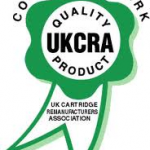 Non-members can also sign up as members of the association, and can purchase copies of the Impact Assessment, by contacting UKCRA at info@ukcra.com. Book your place at the event here.